Spinal cord injury (SCI), depending on the severity of injury, leads to neurological dysfunction and paralysis. Methylprednisolone, the only currently available therapy renders limited protection in SCI. Therefore, other therapeutic agents must be tested to maximize neuroprotection and functional recovery. Previous data from our laboratory indicate that estrogen (17β-estradiol) at a high dose may attenuate multiple damaging pathways involved in SCI and improve locomotor outcome. Since use of high dose estrogen may have detrimental side effects and therefore may never be used in the clinic, the current study investigated the efficacy of this steroid hormone at very low doses in SCI. In particular, we tested the impact of dosing (1–10 μg/kg), mode of delivery (intravenous vs. osmotic pump), and delay in estrogen application (15 min–4 h post-SCI) on microgliosis and neuronal death in acute SCI in rats. 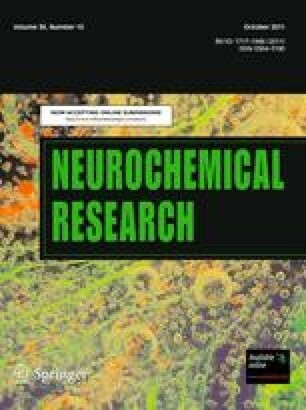 Treatment with 17β-estradiol (1–10 μg/kg) significantly reduced microglial activation and also attenuated apoptosis of neurons compared to untreated SCI animals. The attenuation of cell death and inflammation by estrogen was observed regardless of mode and time of delivery following injury. These findings suggest estrogen as a potential agent for the treatment of individuals with SCI. Completion of this project was made possible by funding from the National Institutes of Health (NIH) and National Institute of Neurological Disorders and Stroke (NINDS): (NS-31622, NS-38146, and NS-41088) and the State of South Carolina Spinal Cord Injury Research Fund (SCSCIRF).